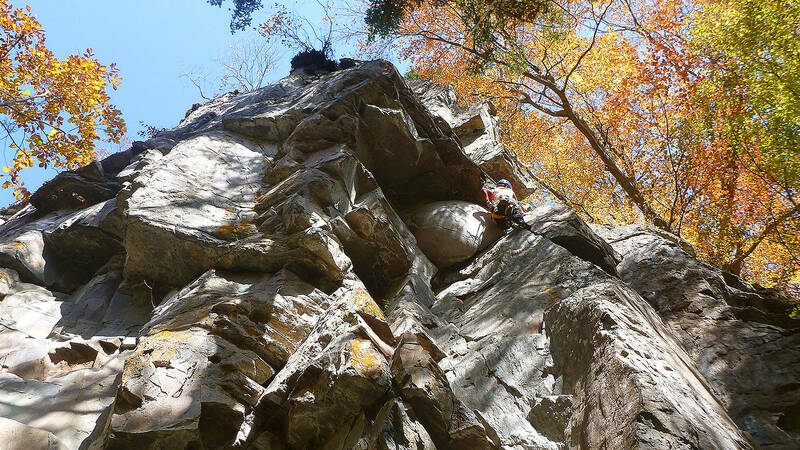 In October 2015, unable to climb due to a broken wrist, I started to search for unclimbed rock, hoping to renew the experience of bolting Oritatami-iwa (折り畳み岩) in Hōrai (鳳来) on a bigger scale. After spending quite some time looking at maps and satellite pictures, I went off the bitten track checking one by one all the places I had marked in between the town of Kōfu (甲府) and Mizugakiyama (瑞牆山). My research stopped in Biwakubosawa (枇杷窪沢), where I found two nice walls: Coccinelle (Beetle) Rock and Castle Rock (check the map below). 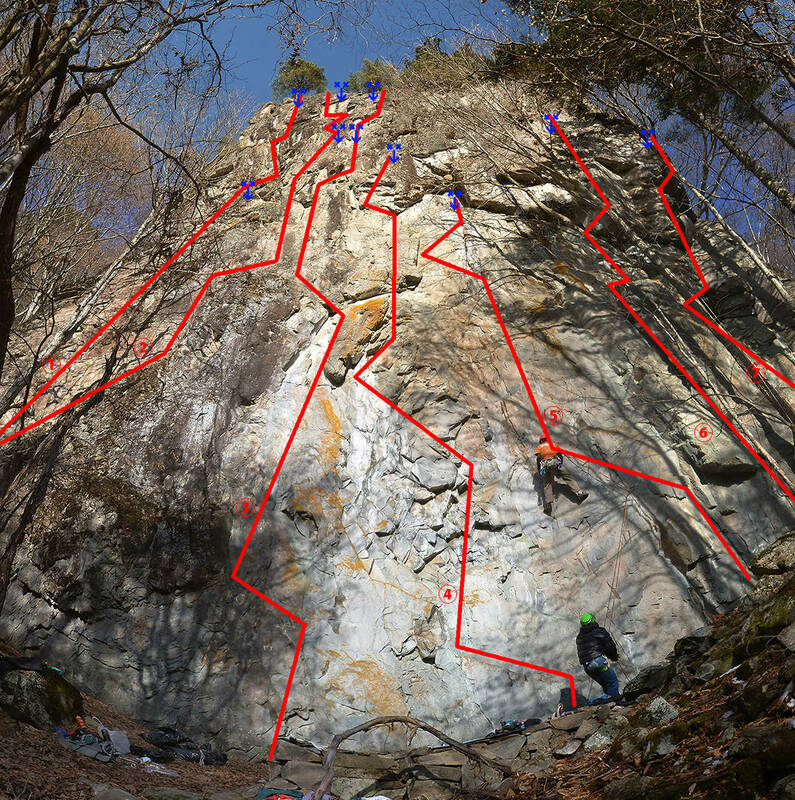 After several month spend brushing moss, removing loose rocks and gluing anchors and bolts, most of it alone, the Coccinelle Rock crag is finished. 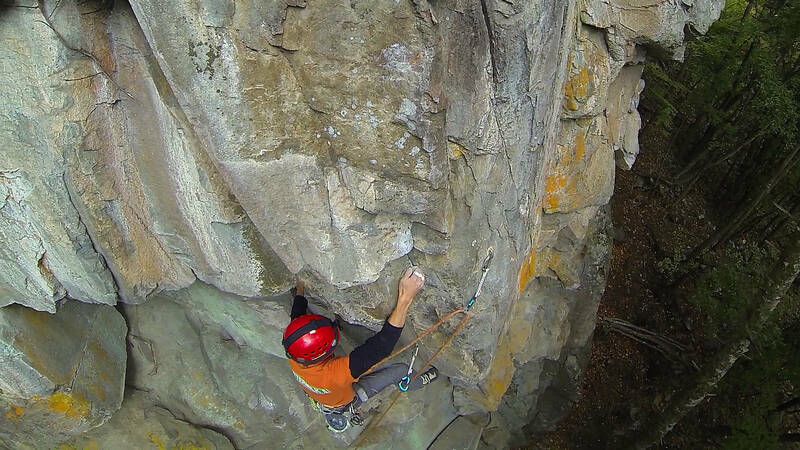 I didn’t had the time to bolt any route at Castle Rock crag. 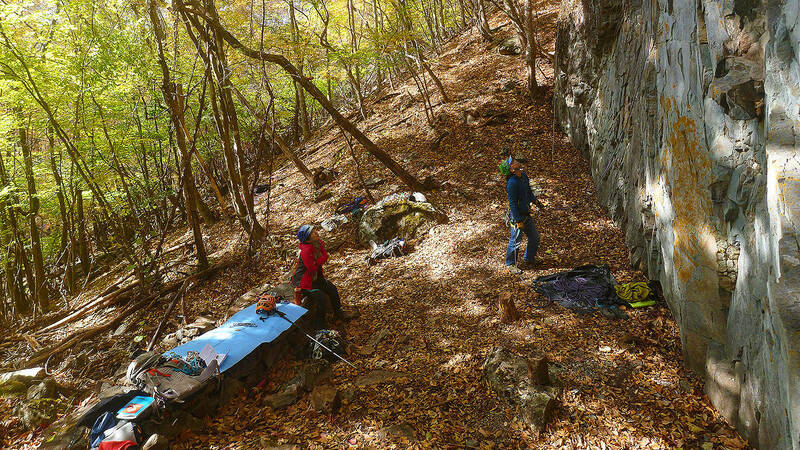 It has potential for some nice new routes but as I am leaving Japan and don’t have the time, I will let others establishing them and fully equip the crag. If you do, please send me the route information so that I can add them here. You will find in this article all the useful information of both crags and all the routes to go climbing there. I hope you will enjoy those two crags and will have fun. 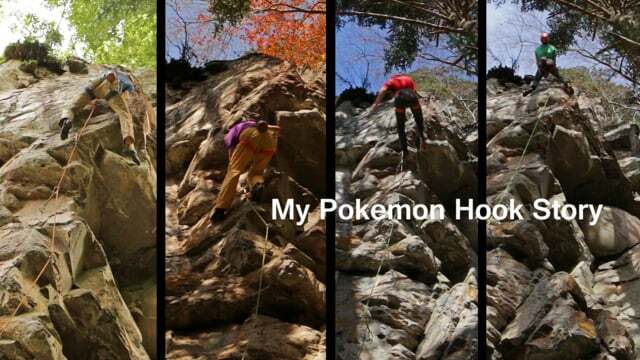 If you are interested to know more about that little adventure of mine of bolting these crags and routes, I’ll release in the coming month a video about it, so stay tuned. 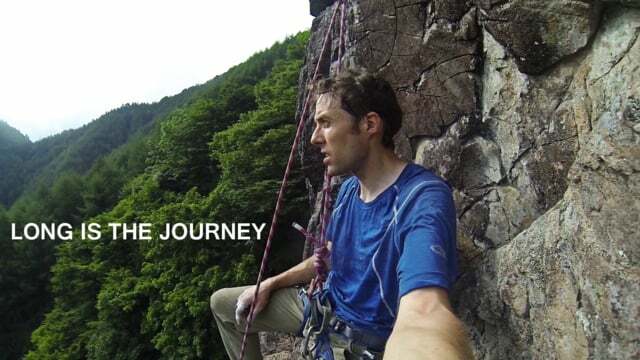 I also released a 20 minutes short film about the year story of developing that crag and those routes. You can see it in the homepage. From mid-April to beginning of December (the road is closed in winter, see below for details). Well exposed it is not too cold in winter. 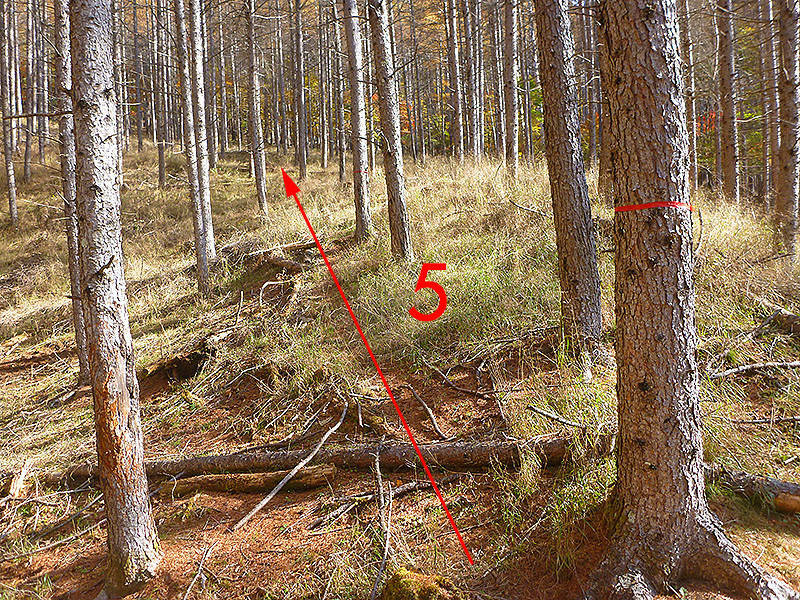 In the summer the trees provide shadow (except on the upper parts of the 40 meters routes). When it rains, only the route Tratratra stays dry but if it rains a lot for several days in a row, it will also get wet through seepage . After rain, the top of the 40 meters route dries fast as well as To glue or not to glue, Have a sit and relax and Pokemon hook. Castle Rock remains to be bolted for the ones who are interested. See the details below. For detailed information about each route of both rocks, please check the below table. Except the easy start, the route is quite homogeneous. It is almost possible to rest at every bolt. Hard moves are at, or just above bolts so it is a very safe route. 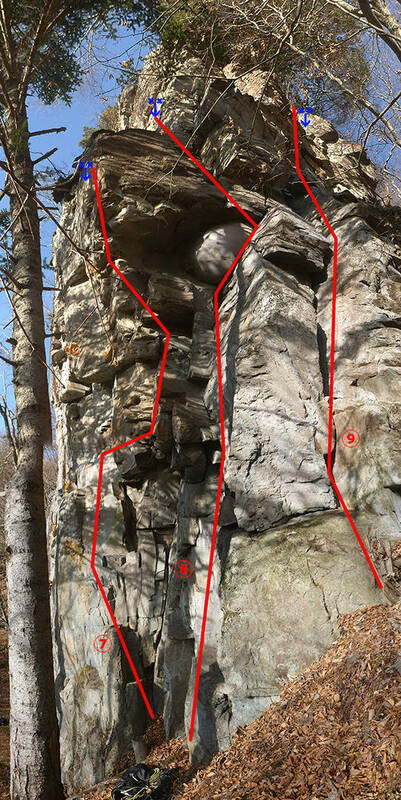 Regarding gears, if you climb the route in one pitch you will need 3 sets of cams from #0.1 to #0.5 and one rack from #0.75 to #4 (BD sizes). Except the dihedral above the second bolt and the final crack, gear placements are limited and fixed because there is no continuous crack per say. 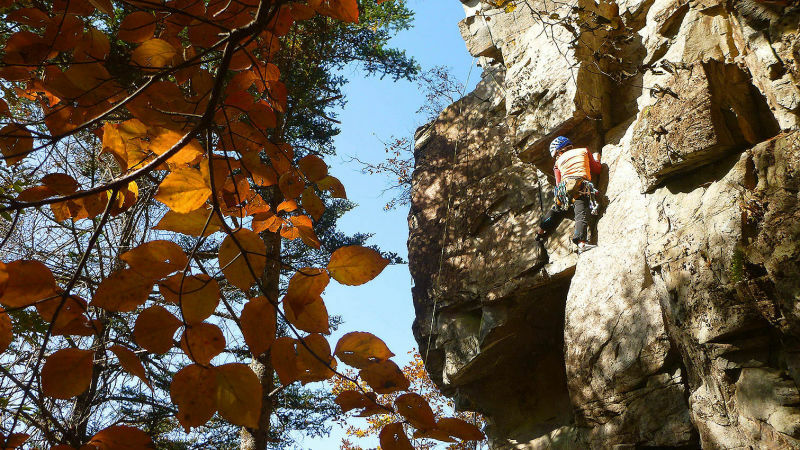 Finding the small holes and cracks is key to climb the route safely and if you miss a gear placement or decide to skip one or run out of gear, the next possible placement might not be before 3 to 5 meters. The route having several terrace, running out on long sections without placing any protection is not a good idea as a fall could be pretty ugly. But don’t be scared by this remark. If you read the route properly and place protections in all the existing placements the route is quite safe ; run-out on the easy sections but well protected at the bottom and top crux. 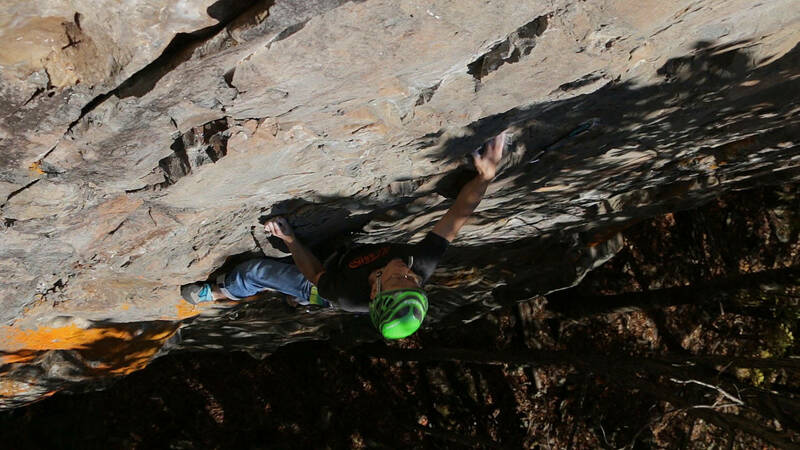 The crux is the start of the route. 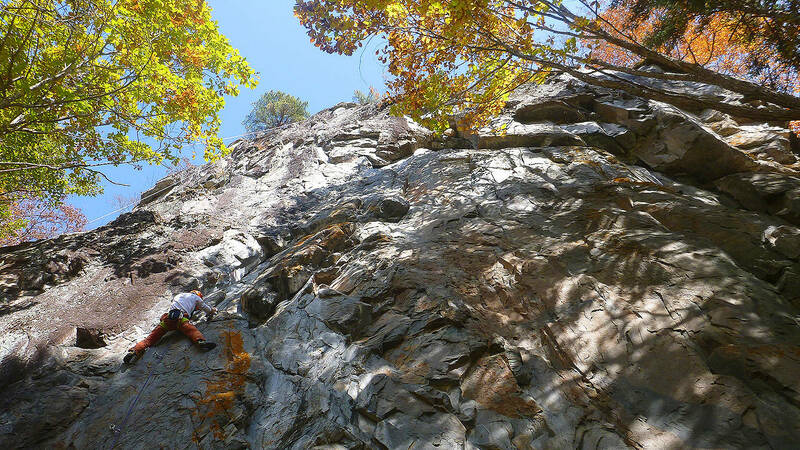 From the intermediate belay anchor, the level drop to something like 5.7 but it is a nice climb to the top. On the “second pitch”, you can even sit on the terrace to enjoy the view. Several holds have been glued in this route. This will surely generate uninteresting arguments ; hence the name of the route as a reference to some famous route and polemic in Smith Rock… It is still a nice route with really nice movements. 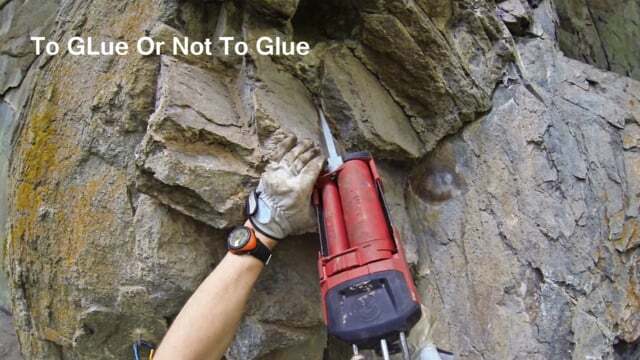 The glue was used to secure, on the long term, holds that were doubtful but would not break easily when hammered. Despite the aspect of the route and the glue which might make some skeptical, there is normally no danger. 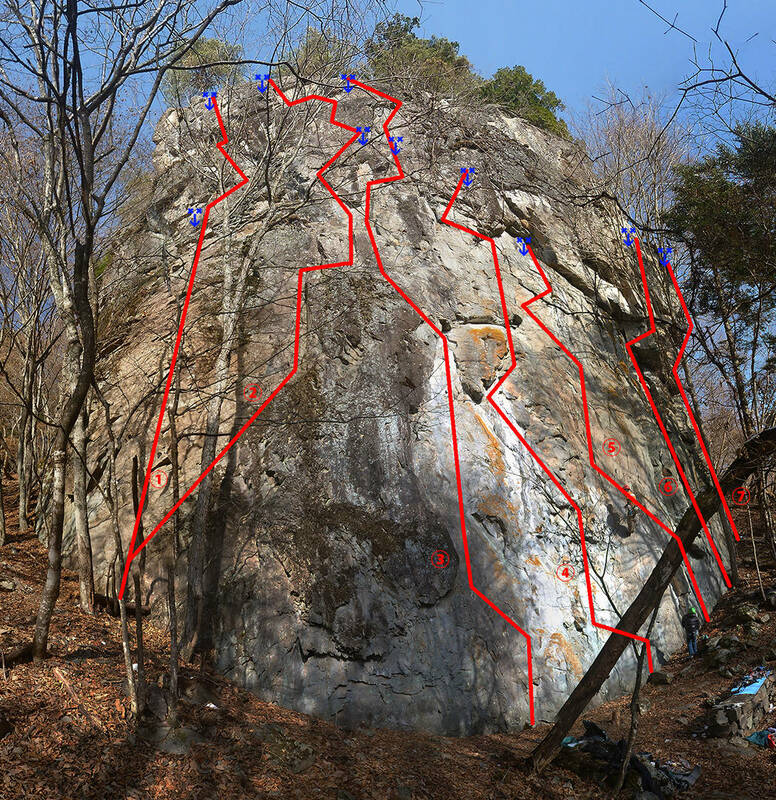 The route was first climbed with a straight exit at the last bolt (without escaping to the left using the jugs) at 5.11b. But as escaping using the jugs is too tempting and seems more natural (everybody does it) the route has been downgraded to 5.11a. 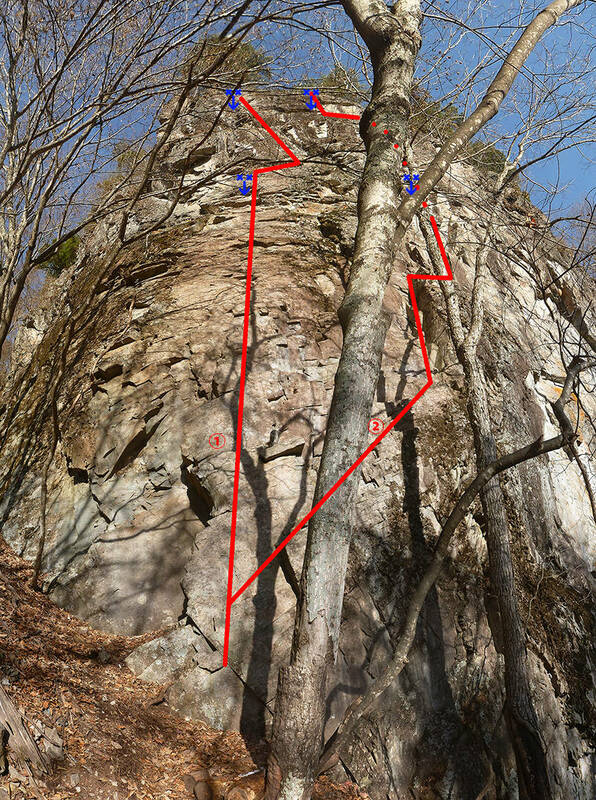 You can still challenge yourself at 5.11b in the spirit the route was opened in if you are interested in the challenge. The third bolt has been pushed a bit too deep. Use a quickdraw with a thin carabiner head. Very nice technical route. The route traverse 3 times, hence the name. 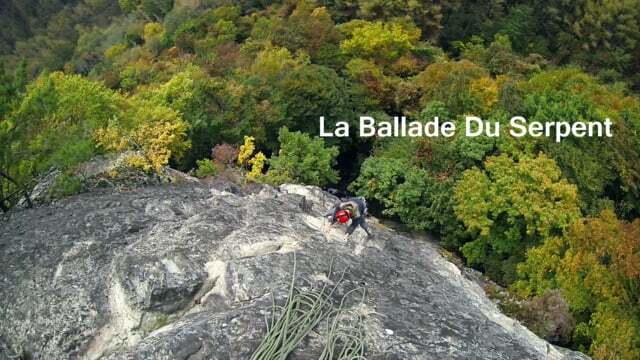 It’s sad that there is that big ledge in the middle of the route which breaks the rhythm, but despite that, it is still a nice and challenging route. As the name says, have a sit and relax on the ledge because the difficulties start from there. At the start and above the terrace, I have placed bolts quite close to avoid big fall either on the tree at the base or on the terrace. You might want to skip the 5th and 7th bolt to limit rope drag ; your safety is up to your own judgement. From the last bolt, avoid climbing on the left. Even if it looks easier it’s not and the rock is of far worse quality than on the right. Simply the best route of the crag to my opinion. The route’s difficulties go from the fifth bolt all the way to the top ; no rest, hard and technical moves. 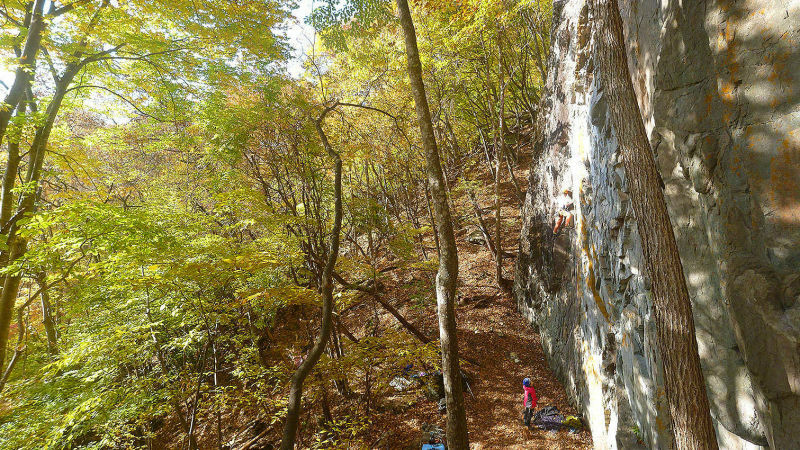 An awesome route. Be warned, the last two bolt are hard to clip. To clip the before last bolt, either you have amazing finger and core power or you find the trick (not obvious at all but so amazing) that would allow you to ease (I didn’t say it makes it easy, just that it ease) clipping the bolt. Despite the cleaning, the space under the third bolt still has doubtful rocks. 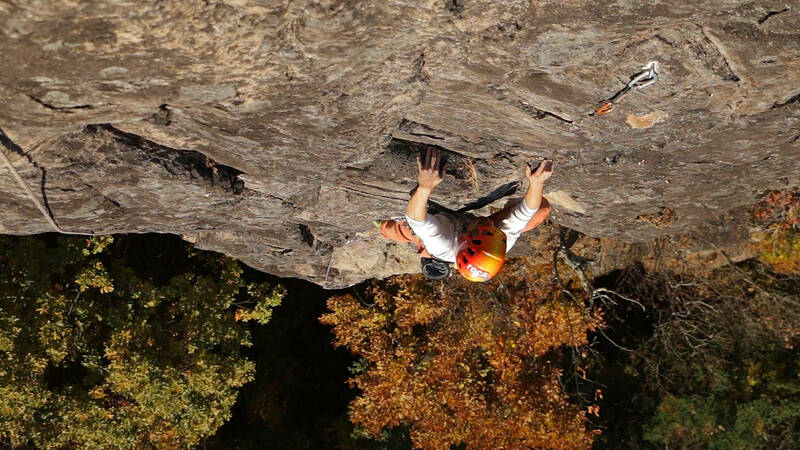 Climb on top of the ledge above the second bolt, then traverse right at the third bolt. Don’t try to climb straight up under the third bolt. Bolts have been placed where the rock quality is best, but sometimes on the side of the line. 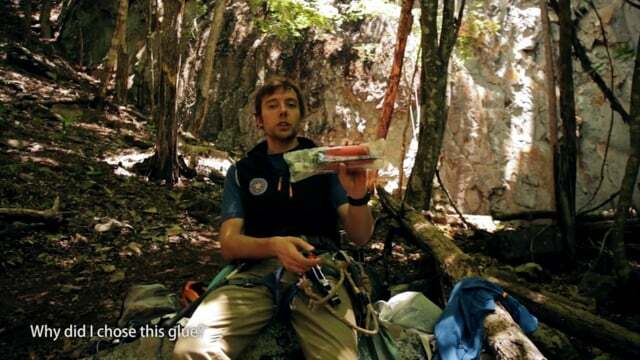 As such I recommend to extend some of the quickdraws to avoid rope drag, especially on bolts 2, 4, 5 and 6 ; on the second bolt, I even recommend to use an “alpine quickdraw” (sling + 2 carabiners). 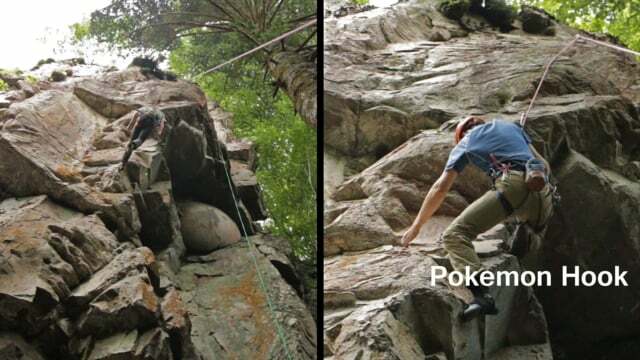 Where will you have the chance to climb such a rock feature? Just for that, the route is worth it. 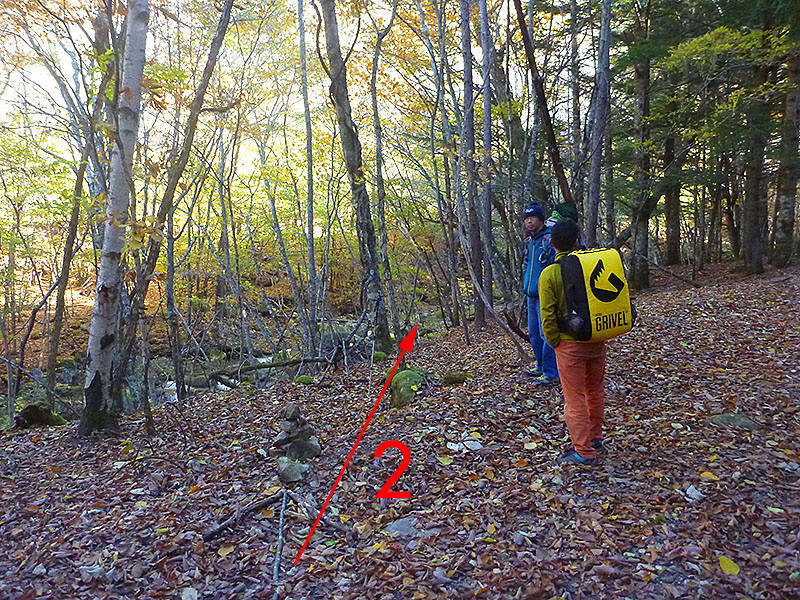 For protections, I used one #0.1 and about two to three sets of cams from #0.2 to #0.75 (Black Diamond). Eventually #1, #2 cams or #3? might be useful in some places just behind or above the moon-shaped rock. But I preferred using those placements for hand jams and use smaller cams in between. Keep a #0.1 and a #0.2 for the mantle at the end. Up to the “the moon”, protections placements are limited as there is no continuous crack, but more than enough in the corner. 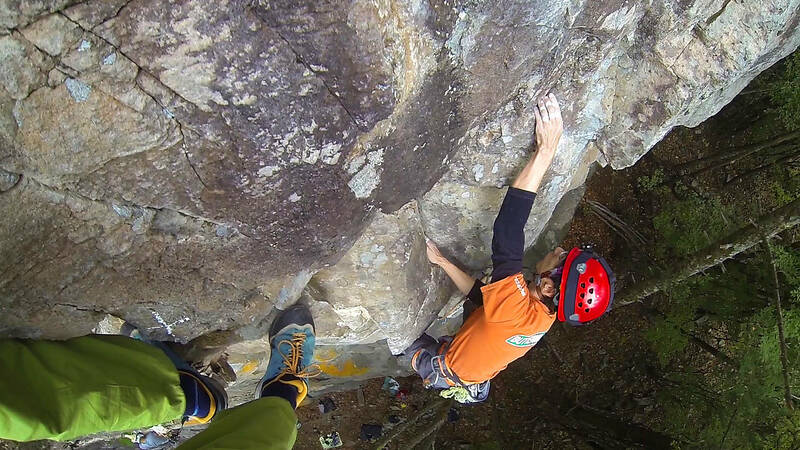 Normally blocs are good and shouldn’t move or break when cams would open on a fall. Judge by yourself. Even if I made a lot of cleaning, it is still possible that a cams pops out from their placements due to remaining dust inside. The route being new, do not hesitate to over protect it. 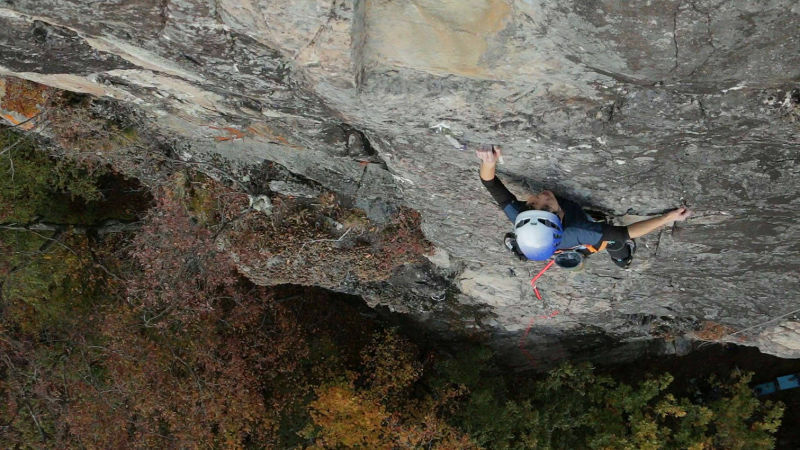 The only real crack of the crag, which goes from, finger jamming at the crux to offwidth size. It’s a all-in-one, what else do you want? 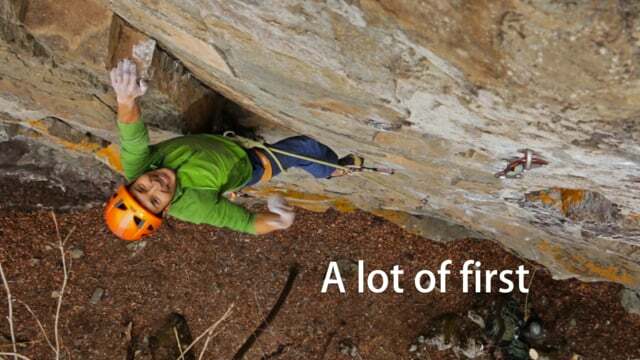 Regarding protections, the route requires a full rack from #0.2 to #6 (BD size) plus some extra doubles for numbers #1 to #3 for the first part of the route (keep a #1 for after the crux). 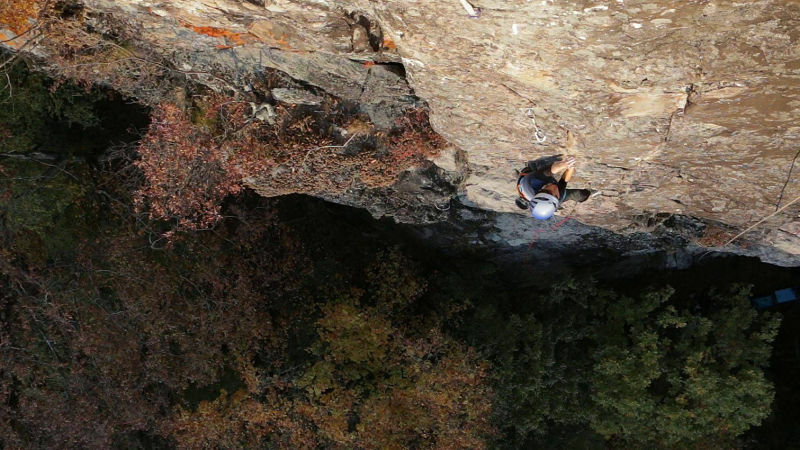 The crux is just above the terrace at the middle of the route. Protect it correctly to avoid a fall on the terrace which could be harmful. The route is 25 meters long. With a 50 meters rope, tie a knot at the end of the rope so it doesn’t go through the belaying device when lowering the climber and get close to the rock when you finish lowering the climber. Wear a helmet ; even the belayer! The routes are still new. A big cleaning work was made but it is still possible that some small rocks fall off. 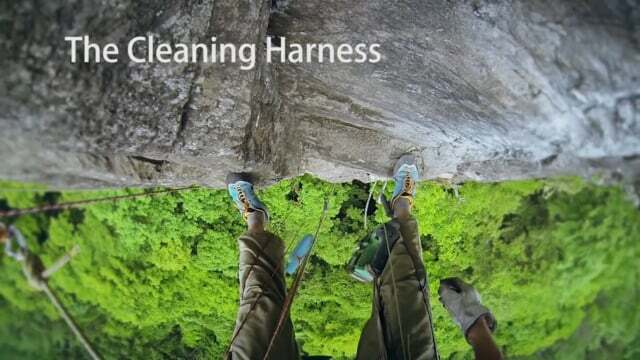 As such it is important that the climber and belayer wear an helmet. For the same reason, climb with an alpine spirit and do not hesitate to test holds before pulling hard on them. 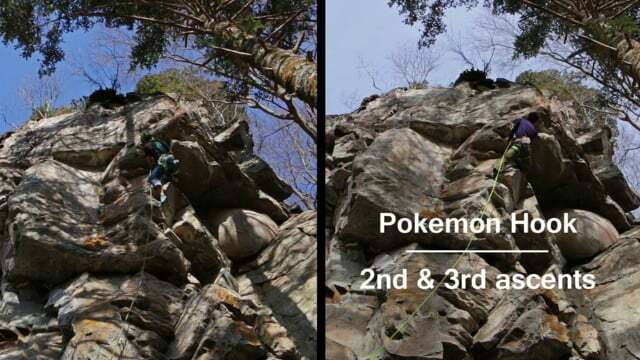 Some routes like To glue or not to glue, Have a sit and relax, Pokemon hook, have sections with unstable rocks close to the routes. I cleaned a lot but but there are still risks so avoid getting off route. The minimum (but sufficient) for all routes, is a single 50 meters rope. 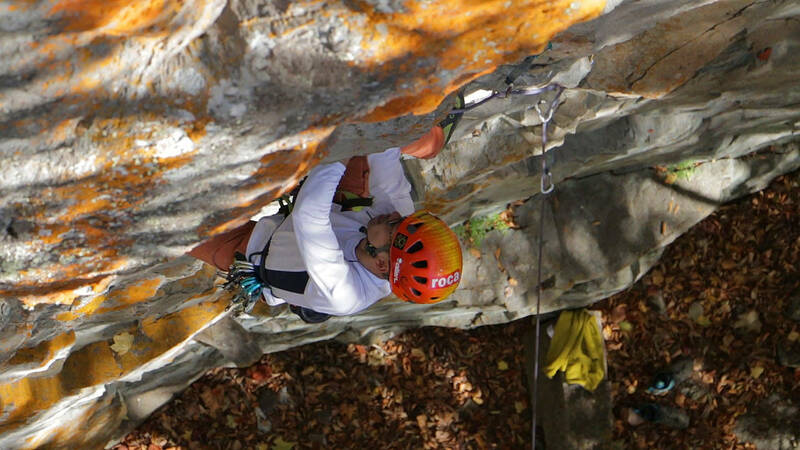 The 40 meters routes have an intermediate belay station to go down in two rappels (see above). 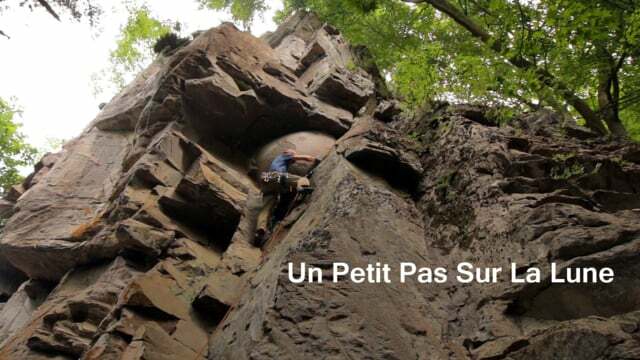 The route Même quand il pleut is just 25 meters so be careful when lowering with a 50 meters rope. For the trad routes, even if I cleaned the cracks the best I could, they can still be dusty and in this case it is possible that a cam would pop out in case of a fall. Routes being new, avoid committing too much with protection ; on the contrary I would recommend to not hesitate to over protect for the time being. There are snakes (venomous snakes if I identified them properly) on the very top of the rock and some grassy ledges above the routes. But generally they’ll have run away before you see them. The area is accessible by car only. There are three parkings (see the map below) before the forest road gate. The approach walk is a short 10 to 15 minutes walk. 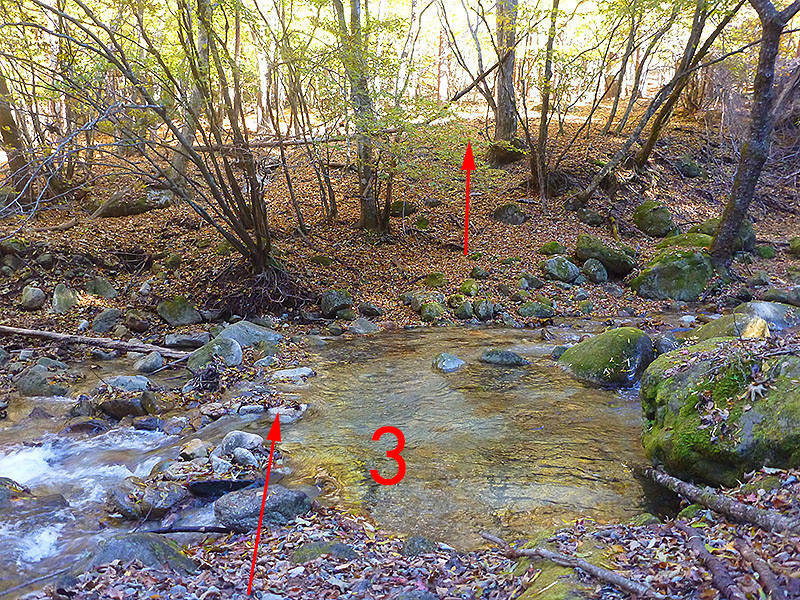 From the forest road gate, follow the road for about 150 meters and go down left to the river at the cairn. Once on the other side (depending on the water level, you might have to take your shoes off and ford the river), the goal is to follow the ridge on the left bank of the small gully in front of you to then walk up diagonally to the cracg (see the GPS trace below). The “trail” is marked by red tape and in some places by branches laid on both sides. The approach walk is about 30 minutes. Follow the forest trail until the bridge that crosses the river. 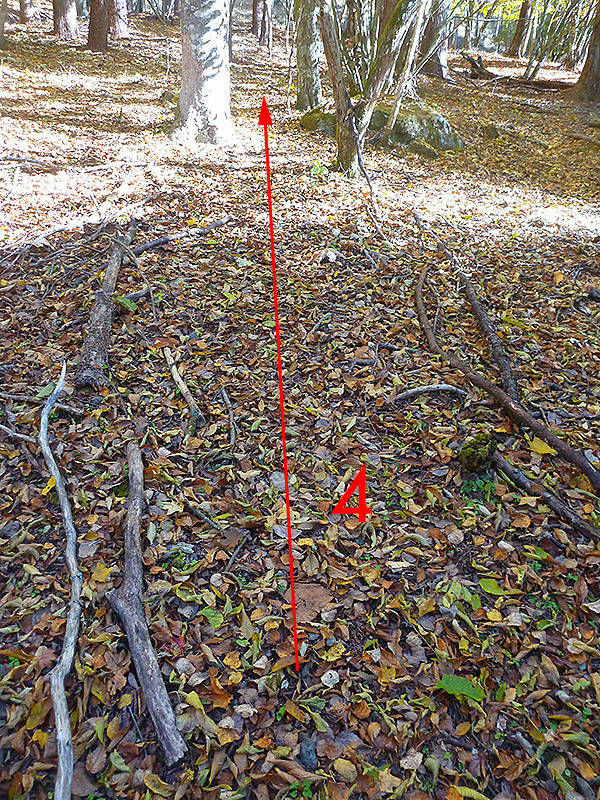 Then walk straight up the ridge on your right. The crag is the second rock face at the top of the hill. Masutomi-onsen is a hot spring “resort”. See below the links to the main hotels web pages. - This is the closest to Biwakubosawa, but for the atmosphere the comfort and price I would still go to Gorōya if I am not camping. 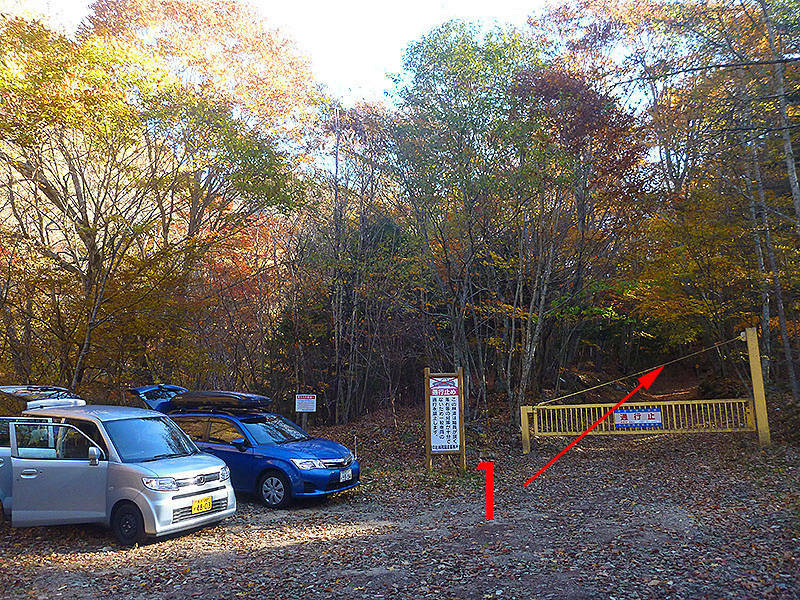 - It is a pension/mountain lodge made for hikers going to Kinpuzan: you are waked up early for an early breakfast and if you are not there to hike, it doesn’t matter.